When Tangled Web Theatre Productions was established as an independent company in 2013, it’s aim was primarily to bring to the stage some of the many fine plays that were constantly being overlooked by Melbourne theatre companies. Our inaugural production and Australian premiere of Retreat by James Saunders along with our amateur premiere production of Other People’s Money by Jerry Sterner are both a case in point. Here were two high quality well-written award winning plays that had once played in full houses to rave reviews and critical acclaim but were no longer getting their due recognition. We then followed up with two more Australian premiere productions, namely Don Bradman Lives Next Door, written by the prolific Australian playwright and author Cenarth Fox and then the comedy Killjoy by Jerry Mayer, the latter being a joint production with Have You Seen It Productions. For roughly the next 12 months we were plagued with production, casting and venue problems causing the cancellation of two productions. In early 2017, we embarked on a rather ambitious programme of producing three plays in six months. The first of the trio was The Vandal by Hamish Linklater. It was directed by Michelle Swann and was another Australian premiere for Tangled Web Theatre. This was followed by The Mercy Seat by Neil La Bute. It was our 2017 VDL awards entry and was directed by Natasha Boyd. Our third and final production for 2017 was the Harold Pinter classic Betrayal. It was directed by Bruce Cochrane and was a joint production in association with Avid Theatre. Overall, it was quit a successful, if not at times, a hectic six months to finish off 2017. 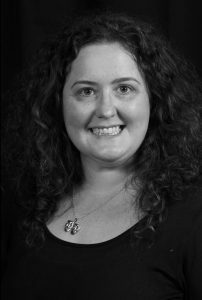 Contributing greatly to the success of all three productions, were the efforts of Natasha Boyd and Michael Fenemore. Tangled Web Theatre also acknowledges and thanks the contribution made by all our directors, cast members and production crews of all productions. Due to health issues with crippling hip and knee joints, Tangled Web will be out of action during 2018. Towards the end of the year, we should be in a position to give you details of our 2019 programme. contributors to the success of Tangled Web Theatre. Kevin has had an extensive background in theatre and theatre management. 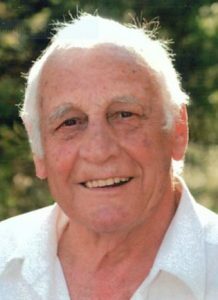 Between 1965 and 1985, he was a founding member, finance director, resident stage manager and a consistent performer for the no longer operating Tait Theatre Productions Melbourne. 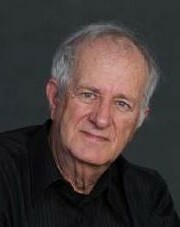 As an unfunded independent company, they ceased operations in 1985 when the building in Carlton they were located in was sold to developers for future university student accommodation.After an inactive period of more than 20 years, Kevin returned to the stage in 2009 performing in five musicals with Nova Music Theatre in Nunawading. He has also performed recently for the Essendon Theatre Company as well as Strathmore Theatre Arts Group (STAG). Kevin is currently a member of the STAG committee. 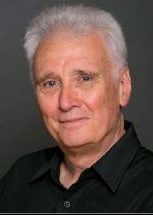 He retired from acting in 2013 with the view of producing and financing low cost productions requiring small casts and with minimal stage settings. This policy has consequently created opportunities for playwrights, directors and other like thinking producers to work with Tangled Web on projects that would otherwise be most unlikely to make it onto the stage.